It’s happening again. 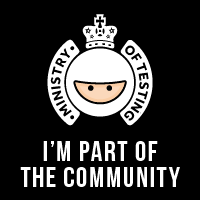 The guys from QA Intelligence and Tea Time with Testers are running The State of Testing Survey 2017 again next year. In the last survey from 2016 more than 1,000 software testing professionals took part in the survey. 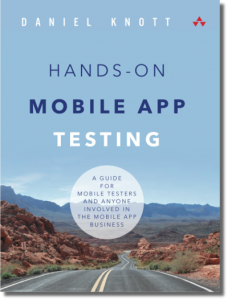 With the huge success and the great insights into the software testing community the goal for the 2017 survey is to reach even more people around the world. Therefore, Joel Montvelisky contacted me and ask for support in spreading the word about the survey. I supported the survey since a couple of years now and I love to announce the next upcoming survey also here on my blog. Please visit the State of Testing 2017 page and subscribe to the newsletter to get the exact date when the survey is online, which will be in January 2017. 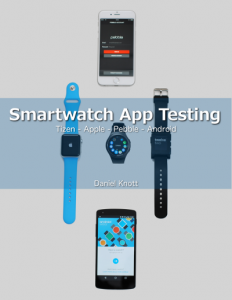 Maybe you remember the state of testing survey from 2013, where software testers from around the world participated to get the current state of the software testing world. 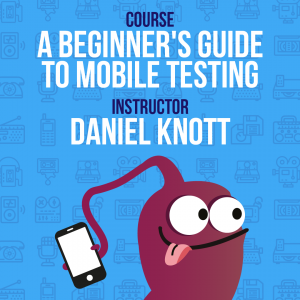 In this survey more than 600 software testers answered the questions and made this survey a great success. The results from the last survey can be found here. And now it is again time for the survey of 2015. 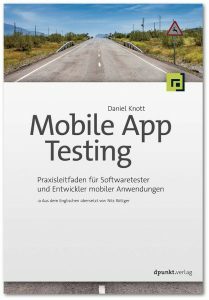 In a couple of days, at the 22nd of January the survey will be online and I want to raise the awareness to all people who are involved in the software testing business to participate in this survey. If you like to contribute to this survey and to spread the word about it, you can either blog, tweet or talk about it. 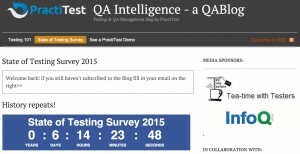 To get more information about it visit the survey page http://qablog.practitest.com/state-of-testing/ and send the survey team a message to ask for more information. The page also contains a link to a subscription page to not forget to participate. To subscribe click here. I just added the date to my calendar and I am looking forward to the survey.